Groundfloor aims to offer investors a full spectrum of risk adjusted returns; from 5.5% to almost 25%. As basic finance theory instructs, investment returns should increase as the risk of a given investment increases. This post illustrates the risk, and the results, of investing at the upper end of the yield spectrum by describing the performance of the loan on 4626 Brooks St., NE in Washington, DC. Priced to yield in excess of 23%, we are now reporting that we expect this loan to experience a significant principal loss. This is just our second loss out of over 100 loans repaid since we began lending over three years ago. While some losses are to be expected in any portfolio, we think losses are opportunities for self-examination on the part of our lending team, as well as our community of investors who build portfolios of loans with us. This loss, which is expected to total $65,900, will upon realization represent a 0.22% reduction in our overall portfolio performance since inception. We know most startups in the "real estate crowdfunding" market have shied away from this kind of transparency. Not at Groundfloor. We are still the first and only issuer of a direct real estate debt security that is publicly regulated by the Securities & Exchange Commission (public filings are available here), and the only one that is open to the non-accredited 95% of U.S. investors. We submit to a higher standard of public disclosure. When something goes wrong, we go beyond what we're required to disclose to share the details behind the numbers presented in our monthly performance filings. Groundfloor’s $97,000 loan for 4626 Brooks St., NE was originated on January 11, 2016 to finance the on-going renovation and expansion of a single-family house. It is subordinate to a first mortgage loan from F & N Enterprises, LLC. The $145,000 first mortgage loan closed on January 27, 2015 to fund acquisition and renovation of the property. Repayment was expected through a sale of the property upon completion of construction. The $360,000 estimated After Repair Value (ARV) yielded an estimated leverage of 95.3% Loan-to-Cost (LTC) and 67.2% Loan-to-Value (LTV). Given the extremely high LTC, the loan was considered very high risk and was accordingly rated “F” on Groundfloor’s “A – G” scale. The speculative nature of the loan was reflected in the 23.8% interest rate. Over the course of the project, Groundfloor disbursed 9 draws totaling $53,400, leaving a balance of $32,100 in escrow. We subsequently received notice that the borrower had encountered problems with structural systems and related permitting. Groundfloor promptly terminated further draw disbursements, met with the borrower and inspected the property. Subsequently, the borrower defaulted on the first mortgage. Groundfloor consulted local Washington, DC counsel to advise on various workout options and strategies to engage the first lien holder in a cooperative resolution. Groundfloor and the first lien holder engaged in negotiations to structure a resolution that could yield the maximum recovery. 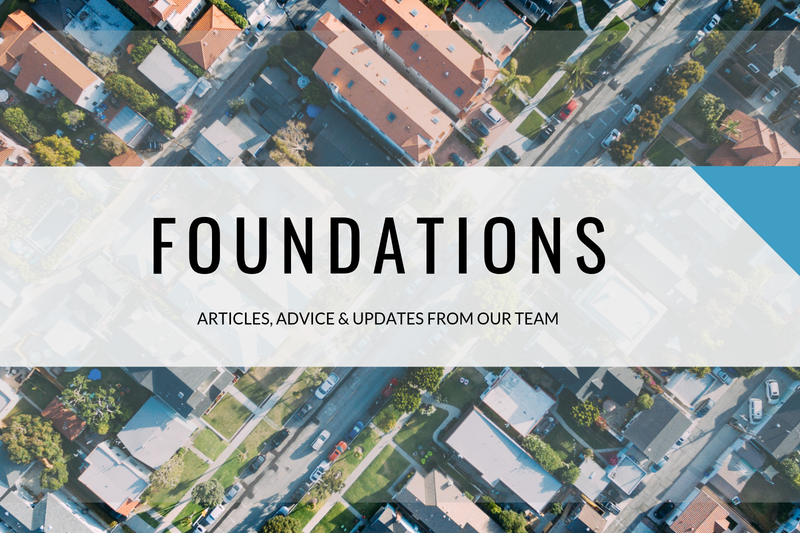 Valuation information obtained by Groundfloor, as well as the first mortgage holder, indicate there is insufficient value in the property to pay off both loans in full. In fact, there is insufficient value to satisfy the first mortgage holder’s full legal balance. Given the senior lien holder has first claim on the collateral until a full payoff is realized, it is clear Groundfloor has virtually no negotiating leverage. Ultimately, the lenders did not reach agreement, and the first lien holder notified Groundfloor this month of their intent to foreclose. The foreclosure is scheduled for June 19, 2017. Groundfloor expects its second lien to be extinguished upon foreclosure by the first lien holder. The remaining escrow funds which we held pending completion of the construction will be returned to investors, net of our costs incurred to recover additional balances. Groundfloor was aware of the risks in the transaction and priced the loan accordingly. The risks were disclosed to investors. Nevertheless, we continuously strive to utilize negative experiences to improve our product. For example, we decided last year, well in advance of any problems with this loan, to discontinue offerings of junior lien loans. We hope to reintroduce them as we continue building loan volume. A larger number of available loans facilitates greater diversification of investor loan portfolios. It also makes concentration in higher risk offerings such as 4626 Brooks St less likely. Despite this loss, Groundfloor continues to deliver an outstanding value for investors. As the only path for non-accredited and accredited investors alike to participate directly in loans backed by real estate, we’re especially proud of the 12.78% annualized net return (including this loss) that we have generated for our investors on average through over 100 loans repaid to date. That's the net rate of return overall -- for all of our loans that have repaid so far, assuming an equal amount of investment in every one. How about second lien loans like 4626 Brooks? We've made 11 other loans in junior lien position. All of the others have already returned principal and interest in full. This loan is the only second lien loan that did not. That will be of little solace to investors who concentrated their investments with us in the one that didn't repay in full. But investors who diversified by investing an equal amount in all 12 of our second lien loans earned a net annualized return of 14.19% on that group of loans taken together. If there's a silver lining in this news, that is it. Second lien loans as a group delivered 1.41% more yield than the overall portfolio. That's a quantification of the reward for the additional risk. We appreciate the trust and faith of those who have been with us since the early days of our national expansion over 18 months ago. And we look forward to growing and welcoming many more investors in the year ahead. As always, whether you invest with us yet or not, we welcome your feedback, critical commentary and suggestions about this loan or any other topic below in the comments, or by email directly to me at rich@groundfloor.us or Brian and Nick at founders@groundfloor.us.